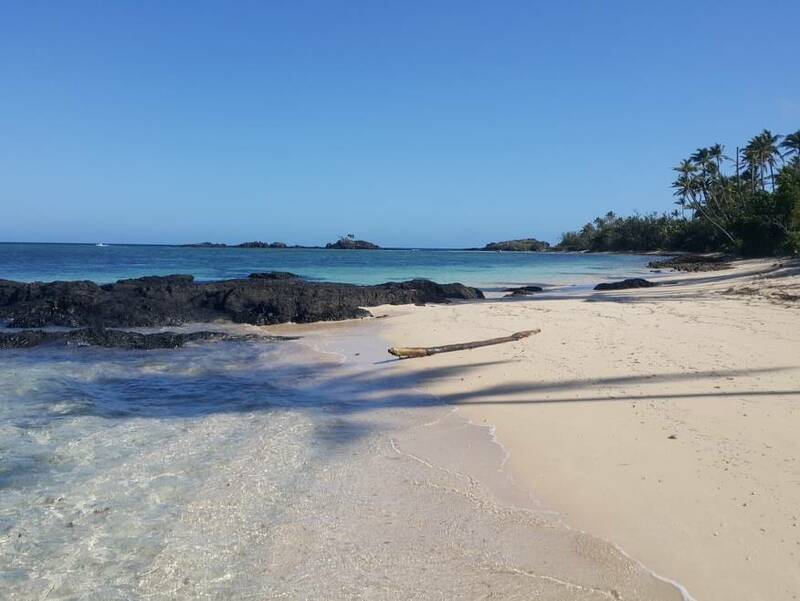 Looking for somewhere quiet, exclusive, on a deserted beach with luxury accommodation & fantastic meals all included? 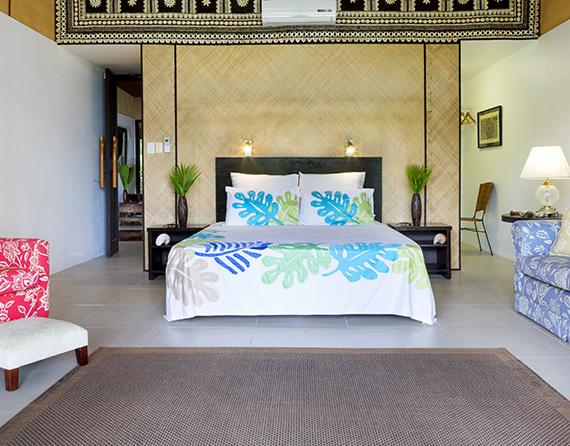 Then Natabe Retreat will truly be your own private Fiji get away. Ideal for couples, honeymooners or a group of friends wanting to get away from it all, in style! 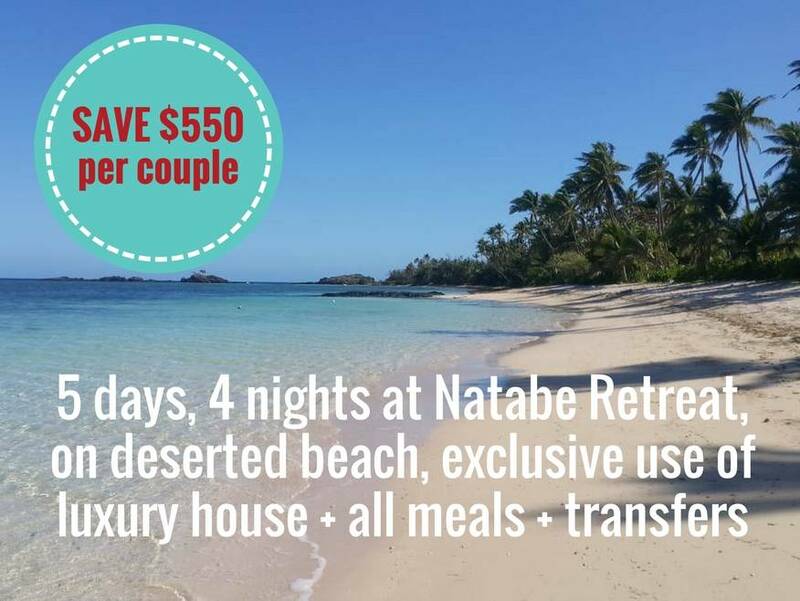 If this package doesn’t quite suit or you need more or fewer days, just email us at info@hotfiji.deals for a quote on a new package. Day 1: Once in the arrivals area at Nadi Airport you’ll go to the office located at the airport to check your travel documents. 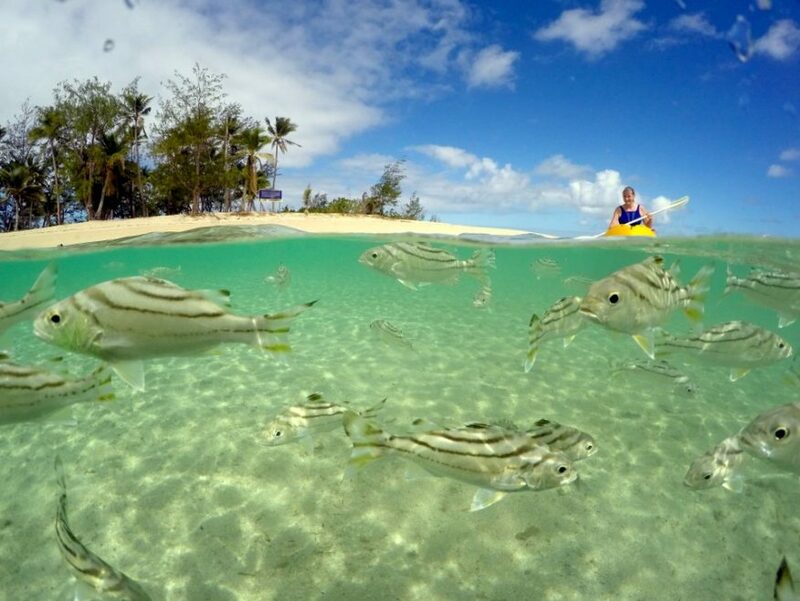 Or if you are already in Fiji, your pick up will be around 7.15am depending on which hotel you are staying at. 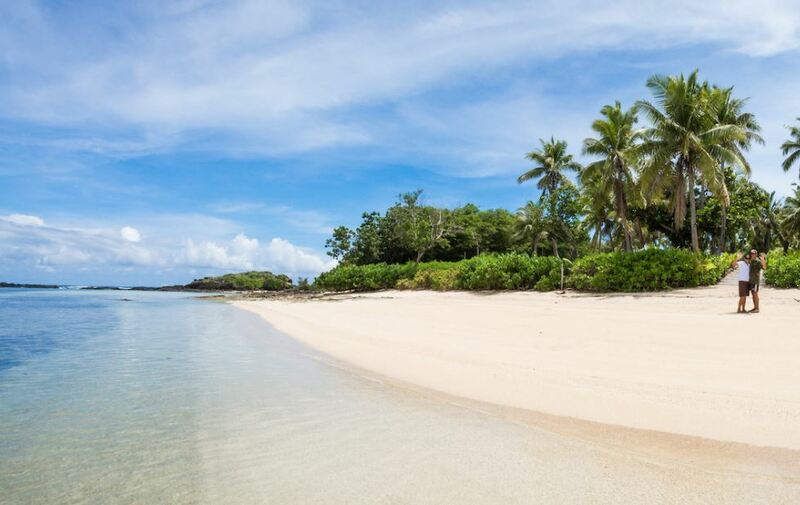 You’ll catch the South Sea Cruises white bus which will take you down to Port Denarau. You’ll board the Yasawa Flyer ferry which departs at 8.30am and arrives at around 1 pm. Day 6: Around 1 pm you’ll be transferred to the ferry then it’s off back to Port Denarau arriving around 5.45pm. You’ll board the same South Sea Cruises bus for a free ride back to your hotel. 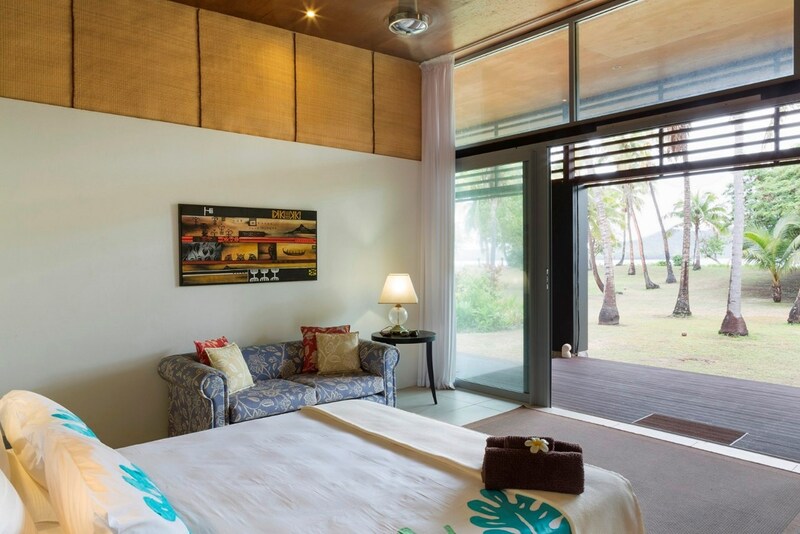 Natabe Retreat has 3 good sized guests rooms all with ensuites, two of which are located at the beach end of the home with queen size beds, ceiling fans & air-conditioning, internal and external access, large walk in wardrobes, hot and cold running water. 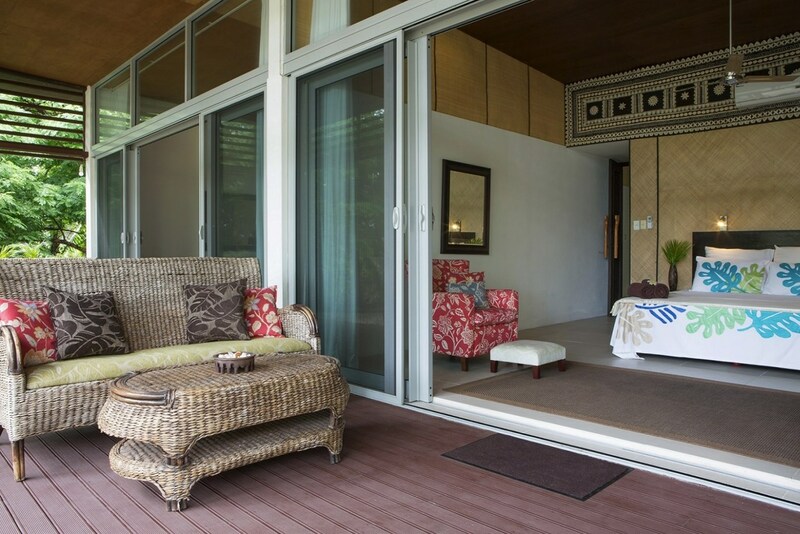 Each guest room has a full glass front with views out over the tropical gardens and a private deck area. Guests also have full access to the spacious indoor/outdoor lounge areas, dining room and kitchen and complimentary wifi. The property is powered by solar & wind energy.